Kudos to PNNL materials scientist Dr. Praveen K. Thallapally for being invited to present his research on metal-organic frameworks (MOFs) to the Department of Energy's Office of Nuclear Energy Advisory Committee (NEAC) Subcommittee on Fuel Cycle Technologies. He gave a 40-minute presentation titled "Metal Organic Frameworks for Removal of Xenon and Krypton from Nuclear Reprocessing Plants" April 6 in Washington, DC. Thallapally studies separation of xenon and krypton from nuclear waste using MOFs, high-surface-area crystalline solids in which metal oxide units connect with organic units to form an extended network. He and collaborators in the program have published nearly 20 peer-reviewed research articles in high-impact publications, such as Nature Materials, Nature Communications, Journal of the American Chemical Society, and Angewandte Chemie International Edition. Thallapally was nominated to represent the DOE Fuel Cycle Technologies Program by the program's national technical director Dr. Terry Todd (Idaho National Laboratory) and deputy director Dr. John Vienna (PNNL). 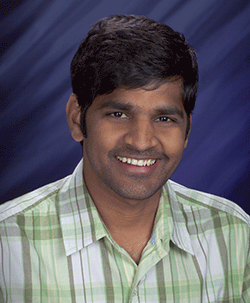 Thallapally is a principal investigator under this multi-year program with annual funding at PNNL of $4.5M. The NEAC is a committee established to provide independent advice to DOE on nuclear energy research.